Marchettino - The ONLY official website: Lamborghini Aventador splits in two! any news of the driver? Wow....that eff up in that junk car should have freaking stopped. What a dumbass! He's got a bunch of trouble coming to him for cutting that Lamborghini off like that. 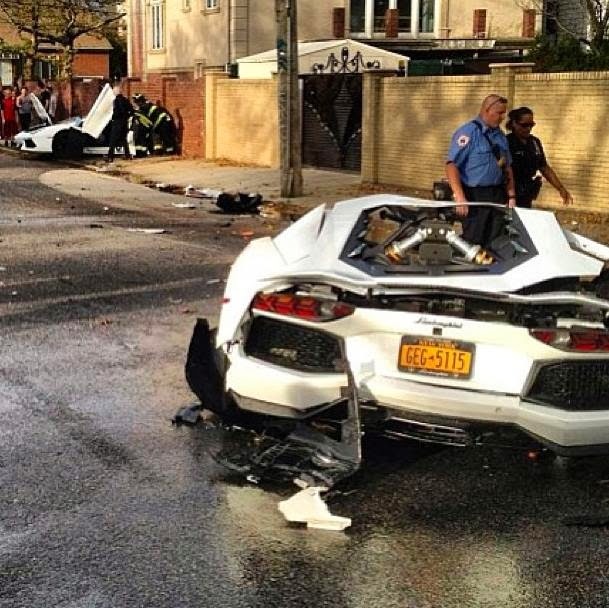 Usually people think people that are driving the fast cars are responsible for the crashes. This proves otherwise. The Lambo driver was perfectly abiding the law. It's the retard in the other car that has a price to pay that he definitely can't afford.
" I just did not see him,sir"
Lamborghini designed the Aventador to split in half giving its driver and passenger the highest chance of surviving.